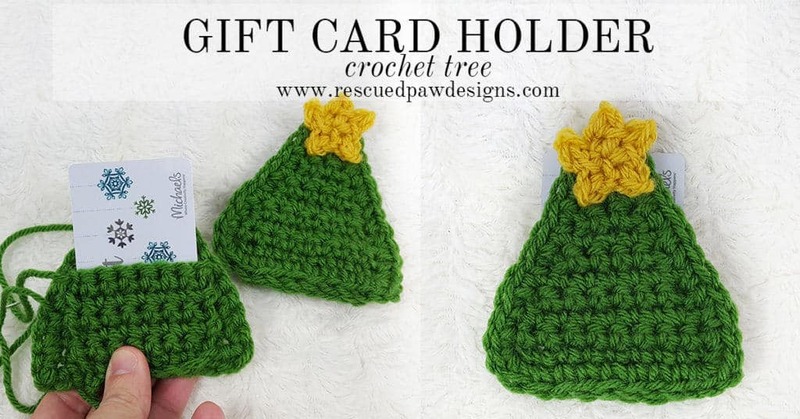 I am so excited to share my newest pattern the crochet tree gift card holder! 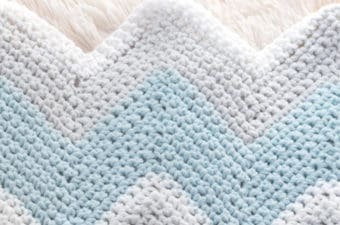 This pattern is fun, fast and easy to make! (My favorite!) 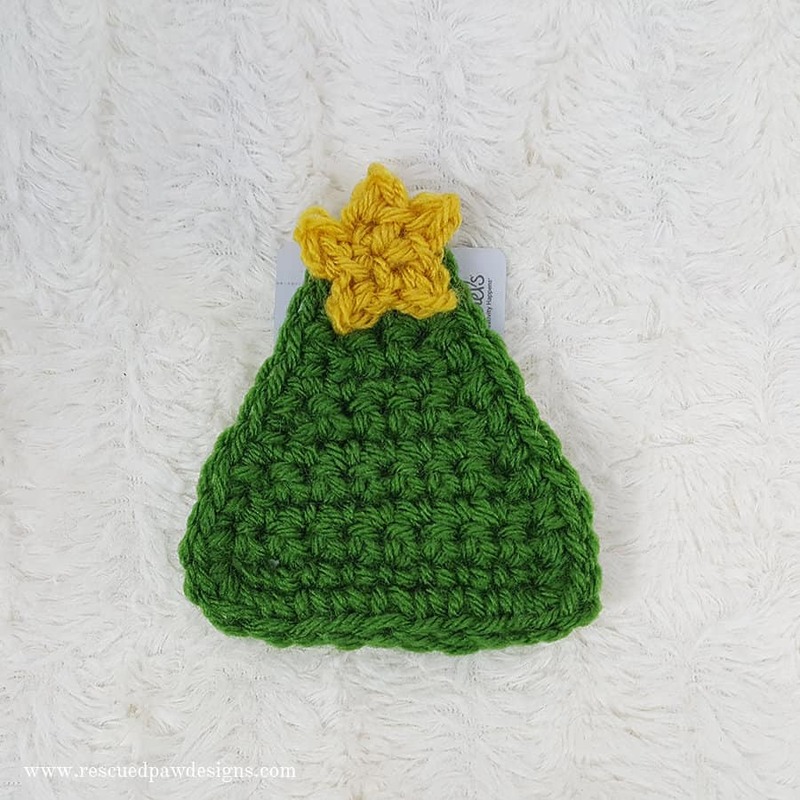 Read on down to find the full, FREE crochet Christmas tree pattern! These crochet trees are made using my favorite yarn, Lion Brand Vanna’s Choice and take a little less than a half hour to make! I whipped this up today because I was in a bit of pinch for gifts for the kids teachers at school. 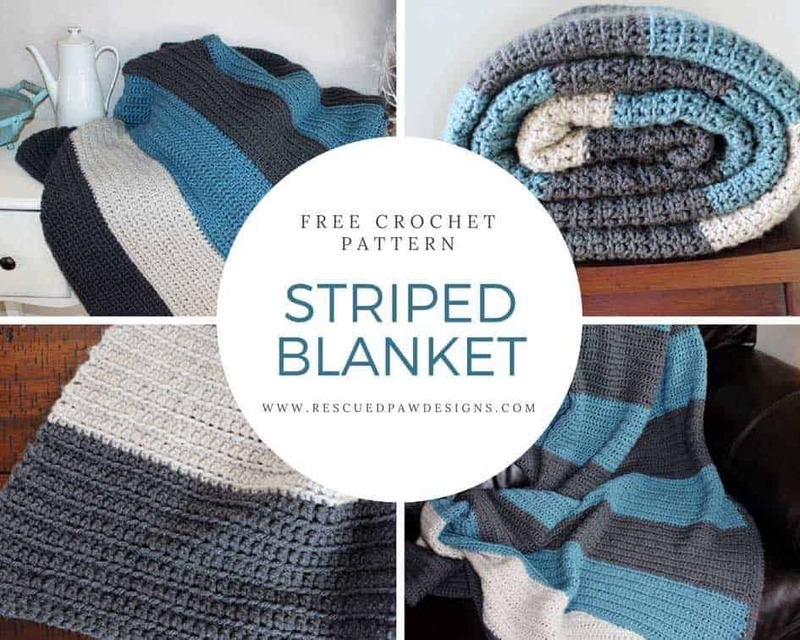 Even though they do make great teacher gifts they could be used for any occasion! 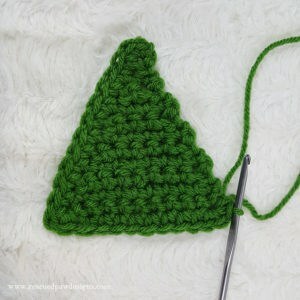 I started by using the Kelly Green yarn to crochet rows back and forth decreasing as I went along until I was left with a tree shape! I then finished if out with a border and a crochet star using the Mustard yarn! 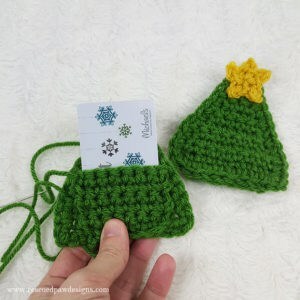 To make the gift card holder I made a little block of single crochets and attached them to the back of the tree with a yarn needle. All done! 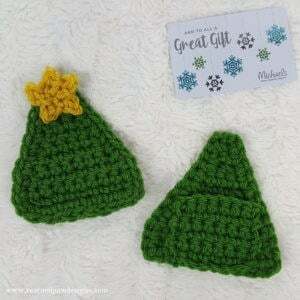 I hope you enjoy making these cute crochet Christmas trees and if you have any questions please feel free to ask! 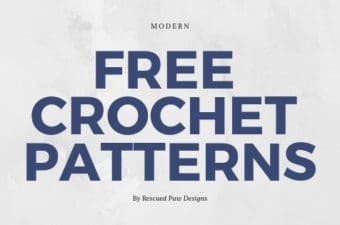 Read on down for the crochet tree pattern for Christmas! Gift Card of your choosing! 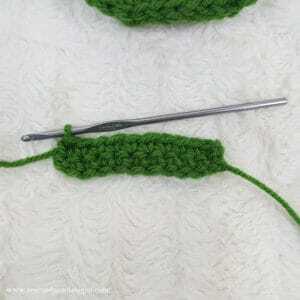 Get the How to Single Crochet Two Together tutorial by Fiber Flux. The crochet trees will have a finished size as its widest points of 4 inches by 4 inches. 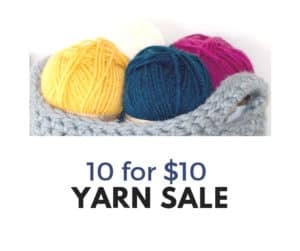 Don’t forget to add to Ravelry to save to make for later! 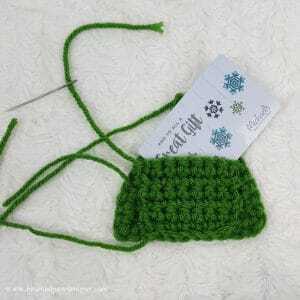 Read on down to find the full, FREE crochet Christmas tree gift card holder! 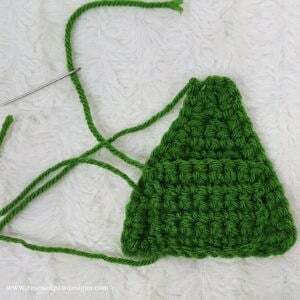 To start: With yarn still attached to last stitch on top of the crochet tree chain 1, work along the left side of the tree down and make 10 single crochets evenly. 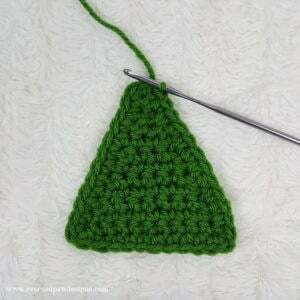 Corner: You have now reached the corner where you will make3 single crochets in the same stitch. 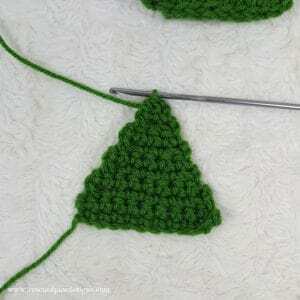 Bottom of the Tree: Make 8 single crochets along the bottom part of the tree until you reach the next corner. 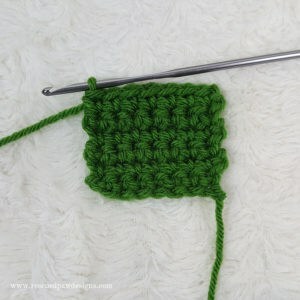 Corner: You have now reached the right hand corner where you will make 3 single crochets in the same stitch. 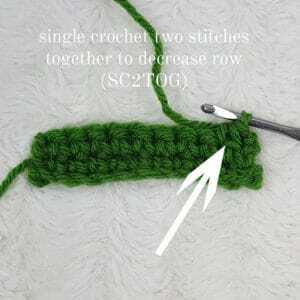 Up the Right Side: Make 10 single crochets up the right side evenly. 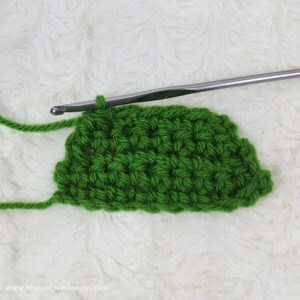 Finishing: Slip stitch to the top of the first single crochet of the border, fasten off yarn. 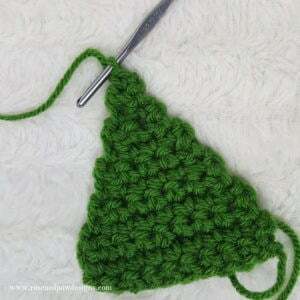 Finishing: Fasten off the yarn, leaving a 12-15 inch piece for attaching the holder to the tree. 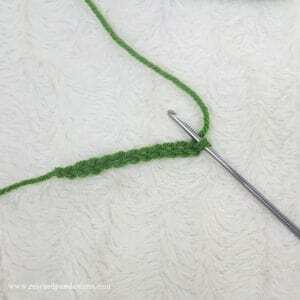 Attach the holder by using a yarn needle, the 15″ tail of yarn and weaving in and out along the edges to secure. I placed mine along the center bottom of the tree. 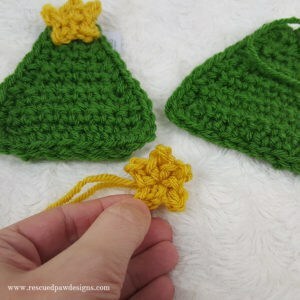 To start: With the Mustard Vanna’s Choice yarn make a small crochet star. 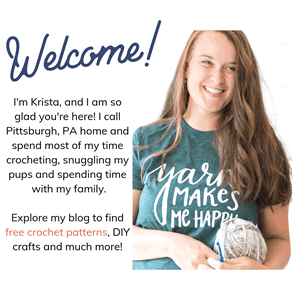 I used a tutorial for a Mini Crochet Star from Repeat Crafter Me. 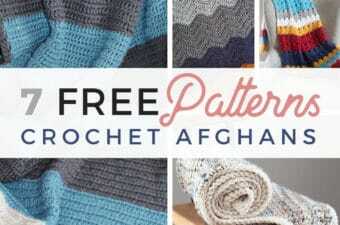 Attach to tree with a yarn needle securely. You are done! 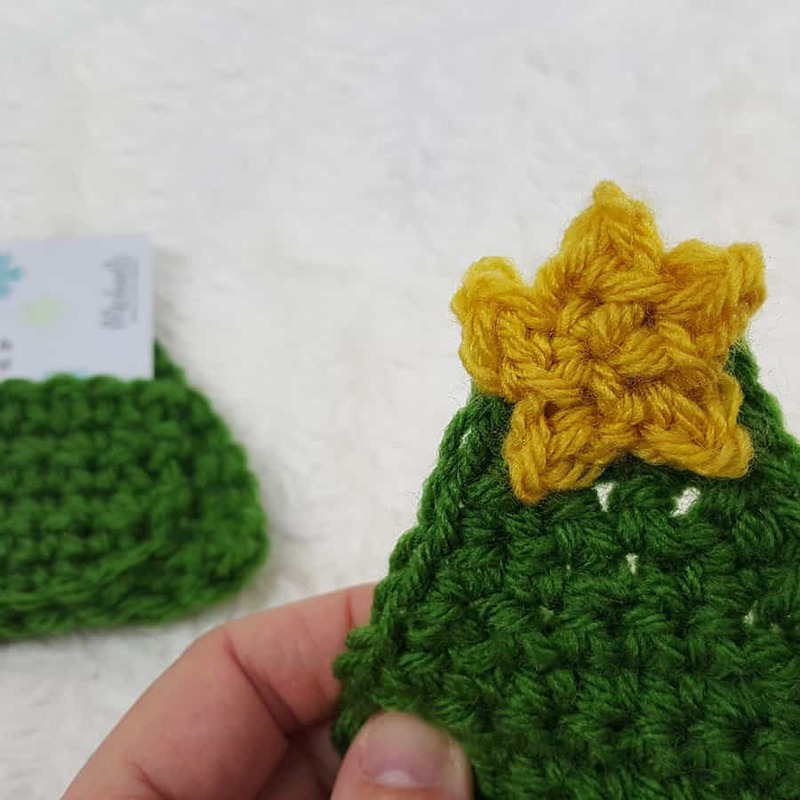 To finish, using a yarn needle make sure all the yarn ends are securely fastened and woven in throughout the tree and star! 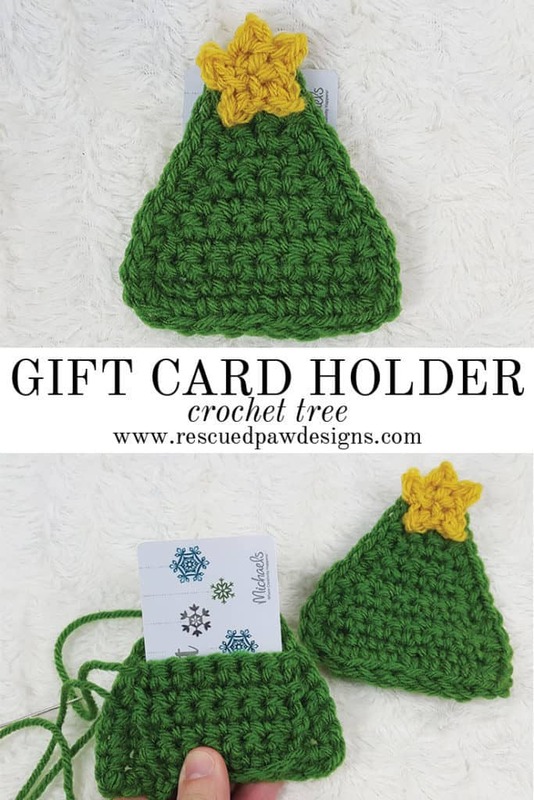 I hope you liked this crochet tree gift card holder and make sure to follow along with me on Instagram or Pinterest so you never miss out on a new pattern!